Which beverage do you choose when enjoying Korean food? If you want to get away from Soju and be more creative with your alcohol pairings, here are some of our suggestions. You might find this combination rather rare, but once you try it, you will nod your head with a strong agreement. Kimchi Jjim, which is also called as Braised Kimchi, contains less water than Kimchi Jjigae and is popularly cooked with pork, sometimes even with pork ribs. Extra cooking time allows more flavors to be infused in its broth, not to mention that kimchi and pork get so much softer. 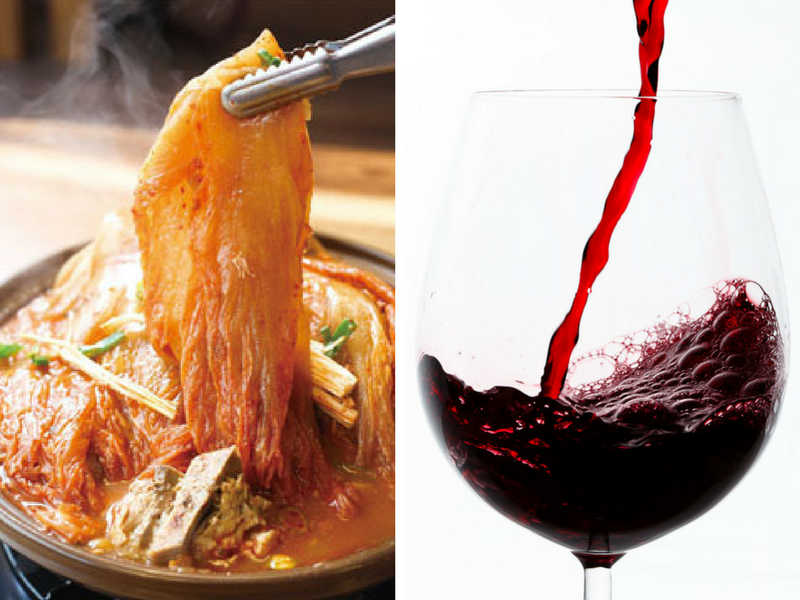 The deep flavor of its broth and flavorful kimchi, along with pork, go especially well with a glass of red wine. 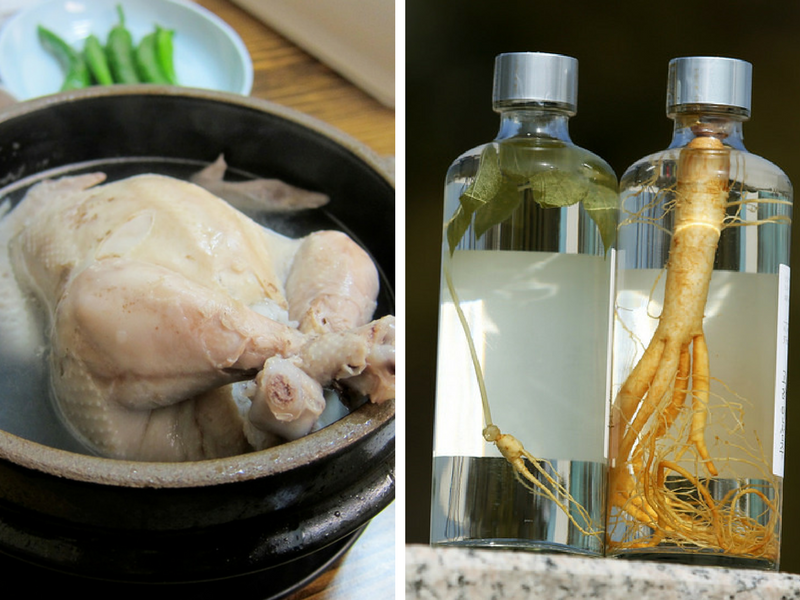 Samgyetang, which is an ultimate “energy soup” of Korean cuisine, is full of nutrients from various healthy ingredients filling a whole young chicken, such as ginseng, garlic, and jujube. If you like to add an extra element to your table, ginseng wine would be a suitable choice. The scent of ginseng wine enriches the flavor of Samgyetang, balancing the whole meal nicely. If it’s hard to find a ginseng wine, Baekseju is an affordable replacement. 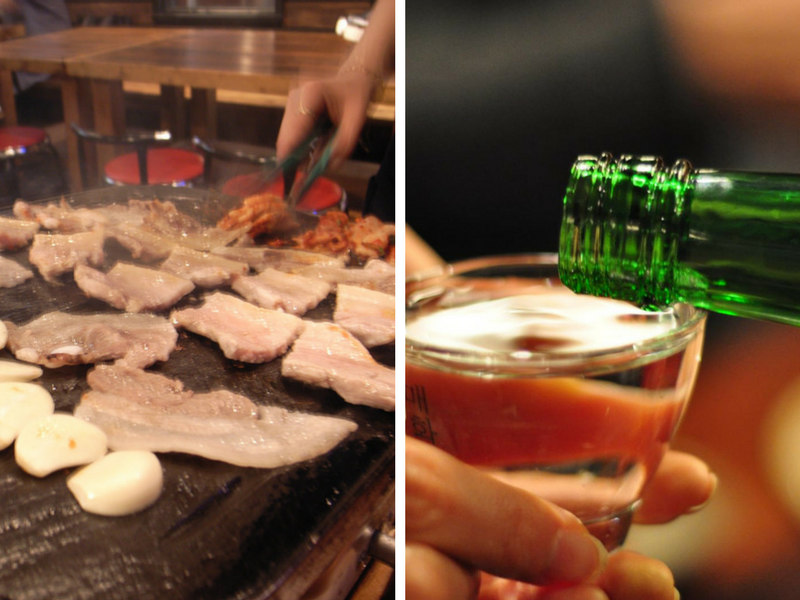 There are whole different varieties of meats available on a Korean BBQ grill, but most of the options go well with Soju, the distilled beverage of Korean origin. Especially, pork belly meats create a perfect harmony with the popular Korean alcoholic beverage, whether it’s easily approachable chemical base or more luxurious distilled one. When you’re to enjoy a marinated one, try making a SoMaek by mixing Soju and beer – the ratio can differ but my personal favorite goes to 30% Soju and 70% beer. 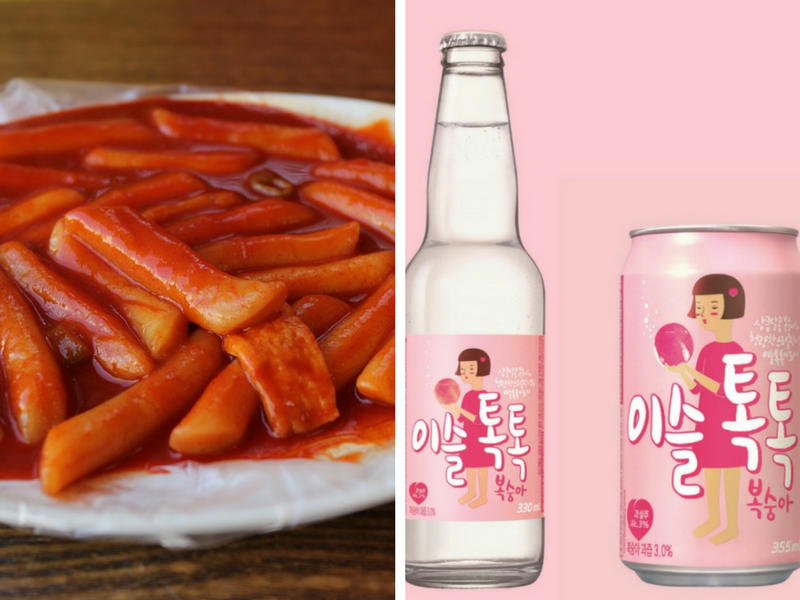 As Tteokbokki originally is enjoyed as a snack between meals, it tends to go along with sweet drinks pretty nicely. Thanks to the recent “fruit Soju” trend, there is a variety of Soju enjoyable with less alcohol content. Iseul Tok Tok is one of those choices. The carbonated peach flavored beverage contains only 3% of alcohol, much suitable for a daytime drink. In addition, its sweetness will ease the spiciness of your Tteokbokki as well.